Over the course of the past year, I have had many conversations with staff about the implications of the heightened expectations of the Common Core State Standards. Invariably, the conversation turns to questions about tactics (e.g.,How do we approach this work?) and strategy (e.g., How exactly does our work need to change for students to meet the expectations of the Common Core?) While I do believe that there is no formulaic, uniform answer that will work for all people in all places, I also believe that everyone, everywhere is working very hard trying to figure out the answers to the same questions. Wouldn't it benefit us all to have a look at the good work that is out there and use it as needed to inform our professional practice? And so, this week I visited all of the state Department of Education websites. 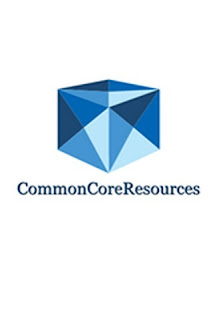 Some states have done truly remarkable jobs at creating valuable, informative resources that support teachers' work in implementing the Common Core. Other states have...published links to the great work that the aforementioned states have done. (Cough, cough. Ahem.) I added in links to resources from places like the CCSSO, Achieve The Core, ASCD, and many others. The goal was to create a one-stop-shop for teachers looking for tools to support their practice, ranging from PD materials to Units of Study/Curriculum Maps to Assessment Resources. I used www.theappbuilder.com to create my app. It was very intuitive and easy to use. Most of the work was finding the content and constructing a plan for how to lay it all out. TheAppBuilder tool made the construction of the app very easy indeed. I had to learn a little bit of HMTL when trying to insert links into text description fields in the tool, but aside from that, TheAppBuilder was very user friendly. I owe a great deal of thanks to Dr. Wesley Fryer, who led a fantastic session at the ICE13 Conference on app creation. Without his insight, I never would have been able to start (let alone finish) something like this. The link to the app is: http://myapp.is/CommonCoreResources. Please feel free to use it if you like, and I welcome your thoughts and feedback in the comments section!